Getting over a relationship and/or marriage with a Narcissist, Sociopath is a wonderful achievement. And yes, it is an achievement! However, it’s not much of an achievement if you stay inside watching Netflix™ all weekend. These are some suggestions on getting out and finding an epic functional(not dysfunctional) mutually loving relationship. And this includes leaving all of your beat up baggage behind you. Sure, the scar’s will forever remain, but you can and will cover those scar’s with love. Is anyone really ever ready to start dating? Or do we find ourselves watching the world go by and we are on the outside, alone, wondering when we will be ready? Truth is, you will know when your ready and you will take a totally different approach the next time~hopefully. take small concrete steps back into dating~with the right effort, the right thinking and the right action, your actions will have good intentions and will be purposeful, yet also hopeful and not forced. Online Dating~personally, I would never do this, simply because I feel it is a HUGE playing field for Narcissist and Sociopath’s to prey upon someone and gather what could be a lot of information with a click of a button. However, if you are comfortable with online dating, then set up a profile and see what happens. I found this quiz online, and I actually laughed because as we know SO WELL, a Sociopath cannot and/or will not tell the truth, so this test is easily manipulated like anything else they do. And with online dating it would be easy to get discourage if all the ’emails’, ‘winks’ etc are from someone 20+ years older than you! 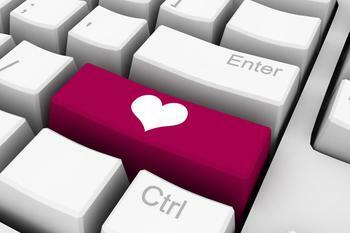 I have seen the ‘success’ commercials, so if your good with online dating, then go for it! Tell Your Friends your ready to date~your friends probably attended your pity parties during the dysfunctional relationship with your Sociopath. So they are aware of what you have been through, and can ‘screen’ some potential dates! When your out and about doing errands, really take notice of the people around you. If your in line, start up a conversation. Random I know, but then again you never know what can come of it. Cease any opportunity. And especially if these people are at say a Pet Store, or Wine Market then there is already some similarities to your likes. Church and/or Support Groups~excellent way to meet someone who has been through what you have, or has a Spiritual foundation similar to you. Remember, you just came out of Polar Opposite and someone giving you an illusion they had the qualities you were looking for. Don’t get frustrated easily. Yes, you have put a lot of effort to get where you are, and don’t want the frustration factor setting in. Example~you really like someone and they haven’t replied to your text or phone call, or you have one bad date. Or you have gone on multiple dates and find yourself at the end thinking ‘bleh’. Tell yourself your taking your time and you owe it to you! Dating should be fun!! And not a traumatic experience that you dread more and more. Keep yourself centered! And remember, it’s about YOU! I am 52. I was entangled in a 17 month relationship with someone who I now understand, was a sociopath Narcissistic type. Very confusing experience. Blogs such as yours, and others, helped me to gather my wits afterwards, and move on towards healthier emotional pastures. Yours is a wonderful site. That break up was 2 years ago this last week 😉 went “no contact” since 4 months following it. Since then, the few dating attempts I’ve engaged in have been ok and pleasant for the most part. But I don’t have the same nature I had beforehand. I have become jaded by it, to an extent I suppose. I now know my own worth, and I won’t sacrifice any part of my emotional “well being” just to have a relationship. I am very comfortable in my own skin so to speak, and I go with my Gut basically, lol. If it is not a yes, then it’s a NO! Simple basic survival, it serves me well. Walking away from anything or any one, that doesn’t pass the muster/litmus test of being a positive thing to my emotional health or well being, is now my 2nd nature of sorts. I think I will be very discriminating ongoing, but that is who I am now, for valid reasons. Am very happy day to day with my life now, much to look forward to since I gave the boot to trying to please someone else to my detriment constantly. I’ve found me again, and happiness as well. Jacki~ thank you for your comment. How long has it been since you have been out of the relationship with the Ex Sociopath? It’s very normal to be hyper-sensitive to another’s words or actions simply because of what you went through. Maybe instead of ‘looking’ for the Red Flags, start with looking at the good qualities, etc. I firmly live by this statement “listen but verify” Even people who were not involved with a Sociopath, Narcissist etc. are Leary of dating again. When hearts are broken, it’s difficult, at best, to learn to trust another. Be patient with yourself, be open to other’s yet at the same time, protect yourself. I know, sounds hard, but it is do-able! Let me know how it works out for you!! And if you will let me know how you eventually got to the place when you wanted to start dating again, this will help other’s in your similar situation. Thank you for this amazing post. I am starting to consider that it might be about time I start dating again, the fact is that it’s really complicated but I’m glad other people made it through. Trust sure is one big problem and sometimes we put walls so high and other people don’t understand and you can’t start talking about your problems from the very first date.. Thank you for your comment. And you are absolutly correct. You can’t just open up to someone new and say ‘oh by the way, let me tell you about my ex crazy Sociopath’…unless they, themselves have ever been a victim of one, they will have NO IDEA what you went through! Period. To many times people will tell the victim ‘why didn’t you just leave or break up’….ha, as if it was just that easy!!! No way!! Thank you again for your comment, and I hope you find someone fabulous to date! Remember, its’ about YOU now!!! Very nice 🙂 November 1 marks 1 year since discovery and the darkest day, followed by the darkest four months of my life. I will have been divorced for 4 months on November1 as well . I have been on a few dates since the divorce, but just don’t seem to “feel it”. Can be turned away from someone with the slightest thing……lol kinda different for me as I am usually pretty laid back about stuff. Good advice, but it doesn’t address the often lingering problem of residual trust issues…you can go through the motions of all the above points, but if your faith in the other gender is shattered, it’s all for nought. This is really nice…sweet and positive. Thank you. Thanks to the painful and hard-earned lesson of dating a sociopath, I now seem to have a very keen ability to spot B.S. This is good….finally!! Thank you Leslie for your comment. I, like you, seem to have that same keen ability to spot BS~ quickly!! And then other times I find myself waiting for their ‘mask’ to slip….unfairly to them. But that is what is left of my trust factor, not much.